who will graduate in early 2018.
to the highest level in more than 40 years. 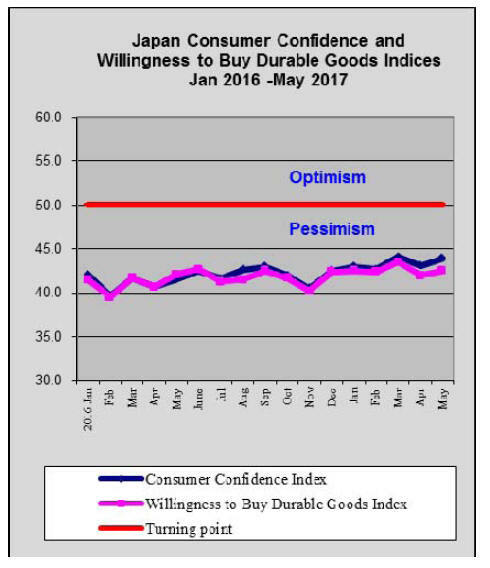 consumer confidence data is revealing. 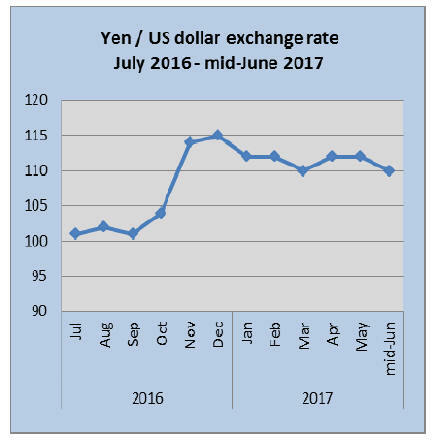 brought relief to the government and Bank of Japan. 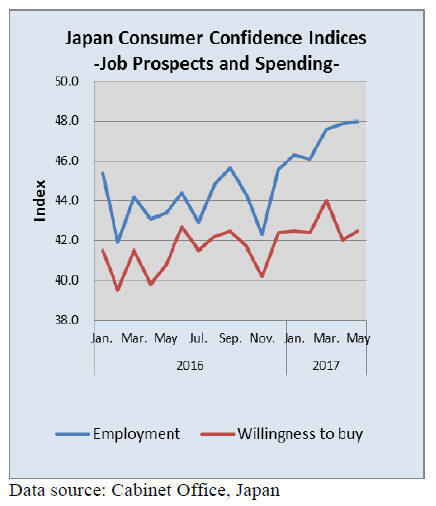 creating heightened risks for the Japanese economy. fluctuations or housing start trends. Malaysia (12%) and Indonesia (8%). below that of a year ago. rebound in March and this continued into April. 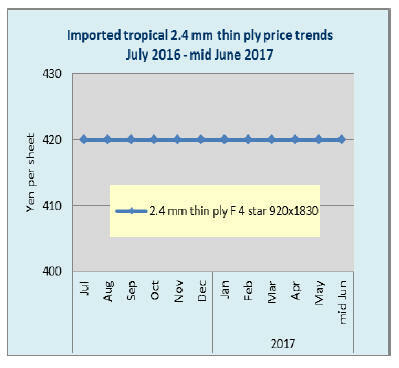 higher than in April 2016.
supplies come from China, Thailand and Indonesia. 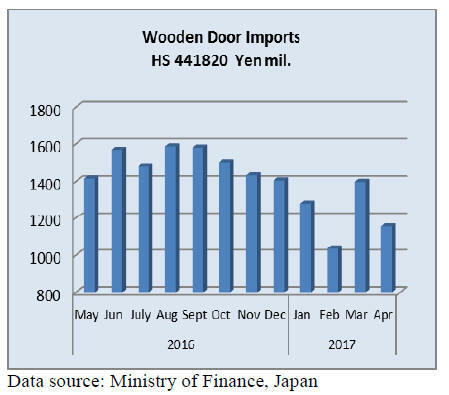 dominate the Japanese market for imported plywood. and 34 account for another approx. 12% of imports. 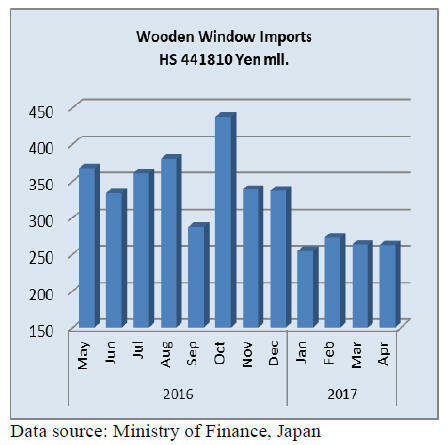 same volume to Japan as was the case in March (approx. 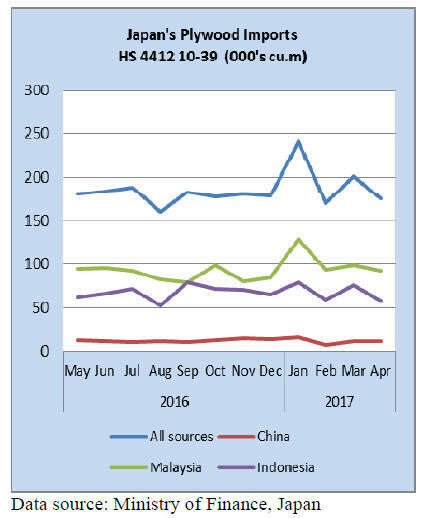 using and distribution of legally harvested wood products. proven legally at private industry level. exporter or importer from overseas suppliers. and biomass for power generation. use is for one year. country of origin and region where wood is harvested. wood products and who is in charge needs to be registered. plant. There is penalty for false report. acknowledgment in the industry for the law is low yet. certified wood but such move has not started yet. Logs for lumber were 12,180,000 cbms, only 1.5% more. Logs for wood chip were 4,791,000 cbms, 2.3% more. 0.5 points less than 2015. 5.4% up so share of domestic wood was 33.2%. biomass power generation plants started operation. after Chinese economy got shaky and the yen weakened. This business is largely relied on exchange rate. million cbms by seven prefectures in Kyushu. cbms, 0.6% more and fir was 1,013,000 cbms, 4.5% more. Hardwood species were 2,188,000 cbms, 2.1% less. generation is expected to increase. more and 4,796,000 cbms for wood chip, 2.3% more. 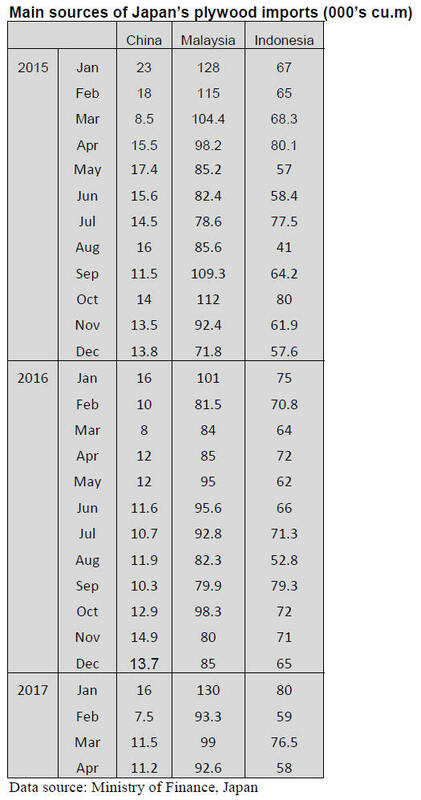 units built for sale in housing starts in 2016.
imported logs was more than domestic logs. and for plywood was 79.4%, 0.2 points less. 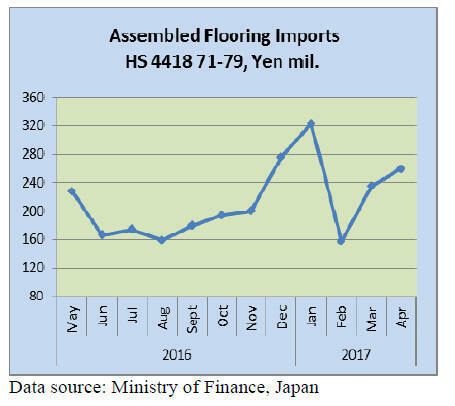 the share of domestic and imports remains unchanged.